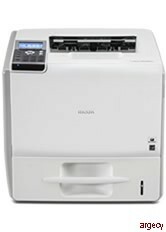 Looking for Ricoh SP5210 Parts? Choose the RICOH Aficio SP 5210DN laser printer to accommodate demanding workloads without compromising efficiency, productivity or your budget. Ideal for mid-volume print environments, these robust systems offer outstanding speed, flexible paper handling and convenient management tools in a compact design. Now you can quickly and securely produce a wide range of network and host print jobs with high-quality output and low per-page print costs to reduce total cost of ownership. The SP 5210DN printer is designed to improve workflow so you can meet the most exacting deadlines and maximize efficiency throughout your organization. The SP 5210DN prints at 52 pages-per-minute and produces sharp lines and crisp text at up to 1200 x 600 dpi resolution. Enhance productivity with a first-print speed of less than 7.5 seconds and a warm-up time of 29 seconds or less. Integrate into virtually any network environment- front office, server-based computing or host print- with support for the latest networking standards and operating systems. Improve job processing efficiency with a powerful 533 MHz controller and the SP 5210DN comes standard with 768 MB RAM and a Hard Disk Drive to take advantage of print-on-demand capabilities and additional security features. Streamline maintenance and significantly reduce cost-per-page with a robust all-in-one (AIO) print cartridge that can be replaced in seconds and yields up to 25,000 pages. Manage volumes for mid-sized workgroups efficiently with a built-in 550-sheet paper tray and 100-sheet bypass tray. Up to four optional 550-sheet units can be installed for 2,850-sheet maximum paper capacity. Execute a wide range of print functions quickly- including data entry, locked print retrieval and consumables management- via a 4-line LCD control panel and 12-key alphanumeric keypad. Support a wide range of media sizes- up to 8.5" x 14" and up to 120 lb. Index for one-sided pages and up to 90 lb. Index for duplex printing- from front-loaded, user-adjustable trays. Store, release and manage confidential documents with Locked Print technology. Print jobs are only released via user ID and password entry at the printer. Verify users, administer access controls and restrict print access with user code authentication for up to 500 employees. The DataOverwriteSecurity System (DOSS) overwrites data on the hard disk drive after every print job to prevent data theft. The standard Hard Disk Drive Encryption Unit encrypts device information rather than destroying it, enabling only authorized users to access the data they need. Manage device settings, monitor job queues and check supply levels conveniently from your desktop with Web Image Monitor or Web SmartDeviceMonitor. Monitor device usage data, including meter counts with the optional @Remote Intelligent Remote Management system to improve efficiency and minimize operating costs. *Declared yield values in accordance ISO/IEC 19572. Actual yields may vary based on types of images printed and other factors. Ships with a starter AIO cartridge yielding 6,000 pages. All other consumables ship at full yield. 120,000 pages Part # 406686 Includes Fusing Unit, Transfer Roller, 5 Feed Rollers and 5 Friction Pads.